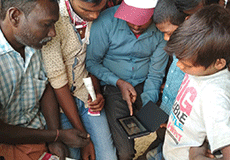 DigiSupport, a project initiated by DEF & Axis Bank to empower financially excluded communities to digitally access and consume financial services through digital interventions, has successfully reached out to more than 1,116 rural beneficiaries in 10 villages. 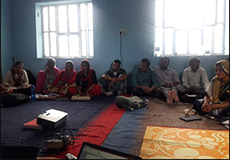 An army of DigiPreraks (rural entrepreneurs) have diligently mobilised the communities they serve to create awareness about digital financial services and literacy through door-to-door campaigns, focused-group discussions, street plays and training sessions. International Women’s Day was celebrated with much enthusiasm on in Alwar city of Rajasthan at the local Police Adhiveshan Bhawan, which saw a participation from different civil society bodies, government representatives and women from rural and urban parts of the district. 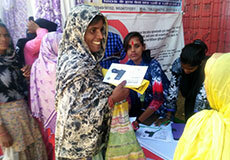 Several organisations that work with women put up their stalls at the venue to create greater awareness about pertinent issues related to women. Soochna Seva recently migrated from online MIS to MeraApp, which is an android-based application, a one-stop answer to all government schemes and entitlements. It is a medium to reduce rural poverty and contribute in rural economy. The app also records beneficiaries’ data and suggest potential market to the user. Rakhi has never thought of herself any less than the boys she knows. Even though she was reminded time and again that, women must stay indoors and focus on household chores. One day when she came across Internet Saathi and got the chance to learn to use a smartphone. Since then she’s become an agent of change and mobile guru for hundreds of women who have got their first exposure to digital tools and the Internet. DEF Soochnapreneurs, equipped with digital support, traverse communities and ensure rural citizens are digitally empowered and, are mobilising the community around them through various initiates. One such is Jawab Do campaign under Suchna Evam Rozgar Adhikar Abhiyan which helps document people’s suggestions to the government. The prime focus is to work towards transparency and a better accountability. 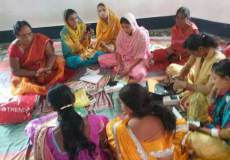 An initiative of Google and Tata Trusts, implemented by DEF in Madhya Pradesh and Bihar, Internet Saathi aims to train rural women in digital literacy. 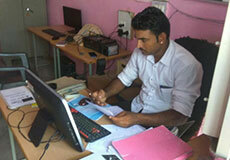 In October, 477 Internet Saathis were trained through a workshop. 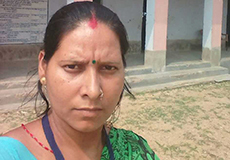 Every Internet Saathi, equipped with two smartphones, has a target of four villages with a door-to-door approach during a six-month period to impart basic mobile literacy to women, eventually reaching out to three lakh rural women and girls.